The Pennsylvania Sea Grant Program announced applications for the July 8-14 Lake Erie Shipboard Science Workshop for Teachers are now being accepted. The deadline for applications is February 28. 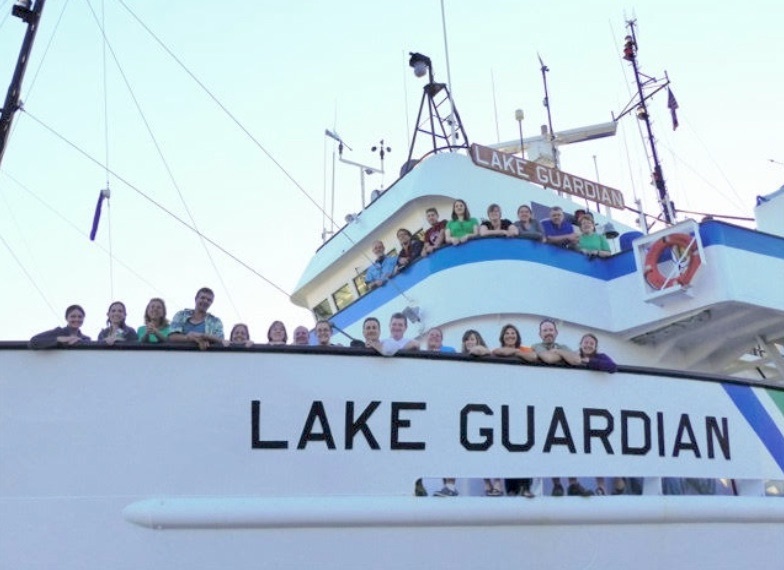 Educators can set a course for adventure and professional development aboard the Lake Guardian, the U.S. Environmental Protection Agency’s research vessel. This is a once-in-a lifetime opportunity for fourth-through 12th-grade teachers and informal educators to work alongside scientists participating in Great Lakes research on Lake Erie. Only 15 applicants will be chosen for the week long workshop. The annual research cruise sets sail from the Great Lakes Science Center in Cleveland on July 8. Educators will live and work alongside scientists from Bowling Green State University, the University of Wisconsin and the EPA. They will use state-of-the-art equipment to assist researchers collecting data on water quality, plastic pollution, and phosphorus concentrations related to harmful algal blooms. Educators will also collaborate on new ways to incorporate hands-on research into their classrooms and share ideas for classroom activities that boost understanding of Great Lakes issues. Sea Grant specialists will provide educational resources and support while onboard and will help teachers implement new activities after the cruise. Port stops in Erie, Pa., on July 10 and in Put-In-Bay, Ohio, on July 13 will also allow participants to learn more about Great Lakes recreation, history and stewardship before returning to Cleveland on July 14. Click Here for all the details on how to apply.